Next week, the triennial General Convention of The Episcopal Church will meet in Salt Lake City. Among the primary agenda items is a series of proposals for restructuring the denomination. Episcopalians are hardly alone in this work—the Evangelical Lutheran Church in America has restructured itself about every five years since it was formed in 1988; United Methodists will no doubt try again to restructure in 2016 after their last attempt ran aground. Such restructuring is needed, but fundamentally insufficient. Here’s why. Against those who would romantically suggest we abandon structure and somehow start over, Roxburgh points out that structures and institutions are necessary ways in which human life and community are embodied. Structures reflect culture, and at the heart of culture is story. The primary issue for the “Eurotribal” denominations (inheritors of the European state and ethnic churches) is not in fact structural reform; it is recognizing and revisiting the deeper stories that are expressed in structure and practice. Roxburgh explains that for the Eurotribal Protestant denominations, the legitimating narrative around which they formed themselves for much of the 20th century was the corporation. Denominations embraced a cultural story that had powerful economic, social, and political legitimacy at the time by organizing themselves in franchise congregations connected by regional hubs (e.g., dioceses, presbyteries, synods), all resourced and regulated by experts at a central national office. The denominational headquarters was the primary hub in a hub-and-spoke system in which local churches were the end users. This all reflected 20th century models of national or multinational industrial corporations. This corporate bureaucratic and regulatory structure is based on using rationalized efficiency, professional management, hierarchy, and standardization to deliver branded religious goods and services uniformly across the system. It is deeply wedded to the logic of modernity, with experts and denominational assemblies issuing system-wide policies and procedures to ensure compliance. Local churches and especially their lay members are recipients or consumers who underwrite the whole enterprise with voluntary offerings. This whole system has been rapidly disintegrating since the late 1960s because the story that underpins it has lost its legitimacy. Neighbors aren’t interested in joining a church like they once were. Centralized experts don’t know the answers to the challenges facing local churches. The institutional trust and loyalty upon which the whole business model rests has dramatically eroded. Reducing the church to a vendor of religious goods and services not only betrays its identity and purpose; it can’t compete against more enticing consumer alternatives today. To the extent to which denominational identity was based on this story, the denomination faces an identity crisis. 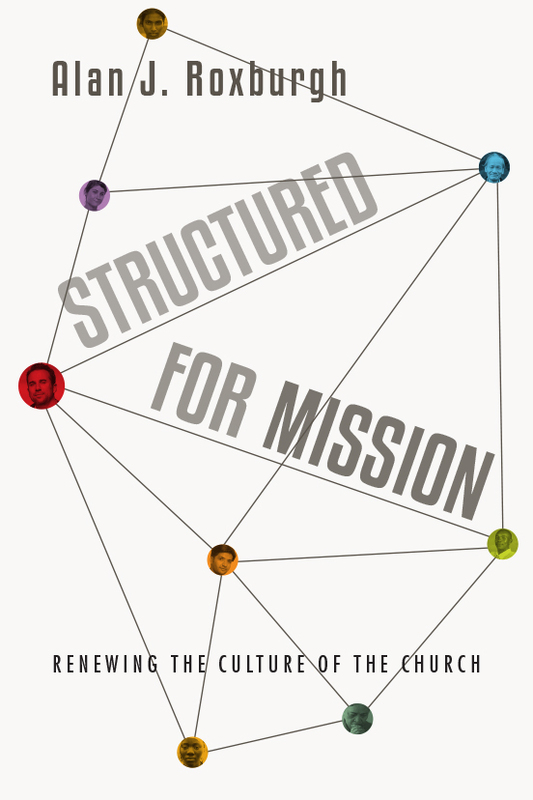 The typical response by denominations has not been to question the legitimating narratives that shape their current life, but rather to try yet another strategy (e.g., congregational revitalization programs from the national office), reorganize/restructure, apply new language to old roles (adding the word “missional” or “missioner” to leaders’ titles), and rewrite formal policies and procedures. Needless to say, none of this will address the deeper identity crisis. The Task Force for Reimagining the Episcopal Church (TREC), on which I served, was a classic instance of a denominational response—unanimously created to present proposals for restructuring in order to get the church out of its mess. As I have consistently said, restructuring (though necessary) will not save The Episcopal Church. To the extent to which the 2015 General Convention makes its decisions within the language world (paradigm or social imaginary) of the 20th century corporate regulatory denomination, restructuring proposals will either not pass or be colonized into minor adjustments to the status quo. What many leaders heavily invested in denominational structures, assemblies, and policies don’t seem to realize is how profoundly irrelevant those things have become to what is actually going on with local churches and the broader culture. The primary work before churches today is about learning and inhabiting a different story than these inherited ones (e.g., the 20th century corporation or earlier stories of empire and cultural establishment). Roxburgh calls for turning our attention to the “narrative memory of God’s purposes” and creatively reentering our stories and traditions. No one knows yet what kind of structures will be adequate for 21st century church life; they need to be innovated, largely at the grass roots. No one has a privileged view on what the future church will look like. What does seem certain is a massive amount of continued disruption and disorganization for years to come, even as new forms of Christian community and witness emerge. The final report of TREC offers an alternative story in its opening pages, drawing from Luke 10:1-12: Follow Jesus together; into the neighborhood; travel lightly. Biblical stories such as this describe a very different posture toward God and the neighborhood than the establishment corporate denomination. They are about going empty handed, in humility and vulnerability, to join neighbors in their daily life and work, sharing God’s peace and healing, and giving witness to an alternative story—God’s reign or kingdom. Churches need first and foremost to relearn and practice the deeper stories of the kingdom. Insofar as denominational and judicatory structures endure, they should create space for that learning.